Relieves pain and itching from cuts, scrapes and burns. Americaine contains 20% Benzocaine to quickly provide the highest level of benzocaine pain relief available without a prescription. 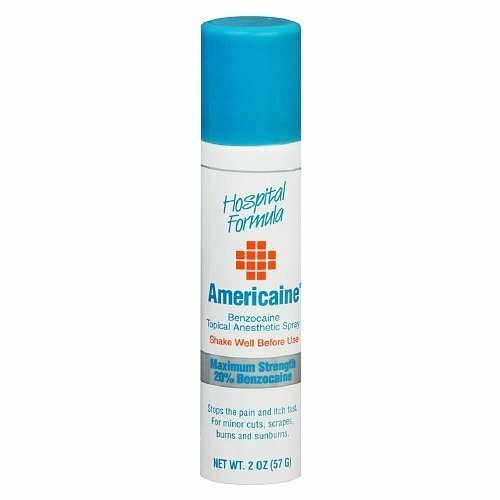 Americaine contains 20% Benzocaine to quickly provide the highest level of benzocaine pain relief available without a prescription for your minor cuts, scrapes, burns and insect bites. 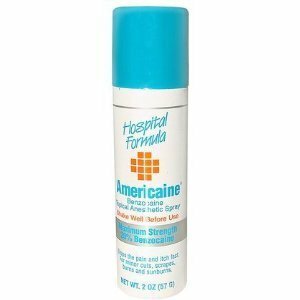 Americaine Benzocaine Topical Anesthetic Spray, 2 oz Per Can. Maximum Strength Benzocaine 20% Stops the pain and itch fast. For minor cuts, scrapes, burns and sunburns. Stops the pain and itch fast. ;For minor cuts, scrapes, burns and sunburns. What Can Benzocaine Be Used For? What Is Anbesol Gel Used For?